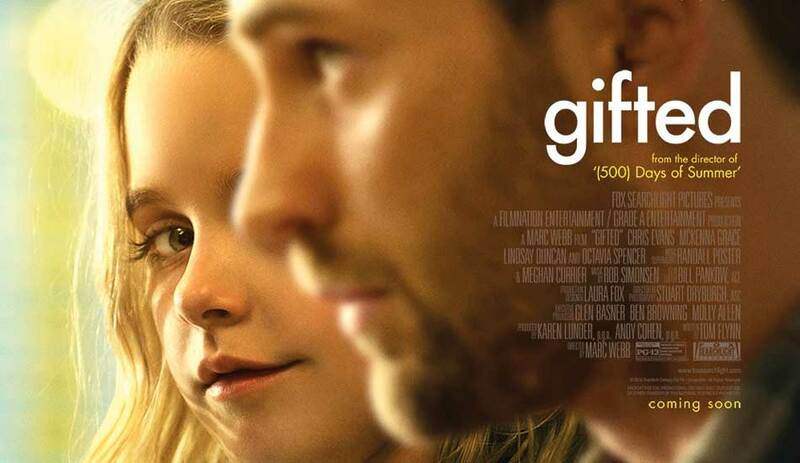 Gifted is a predictable but still an enjoyable movie. It doesn’t take long for the viewers to sympathize with the characters, especially ones as delightful as Mary. It’s not quit the tearjerker I expected it to be, but I did shed a tear or two during the final act. The story starts with a simple plot that gets evolved predictably but beautifully nonetheless. The movie flows smoothly without plot holes, framed by admittedly very impressive cinematography for a movie of this genera. As for the characters themselves I found myself wanting to see more of Roberta played by Octavia Spencer and less of Bonnie played by Jenny Slate. The performances were very impressive, especially with Lindsay Duncan playing the strict and manipulative mother/grandmother. From the looks of the trailer I readied myself to be blown away by Chris Evan's performance, but it was Mckenna Grace that easily outshined everyone on the screen. Evans by no means delivered a bad performance, it was very honest and raw, but beside Grace everyone’s shine simply dims. This movie makes you laugh while wiping a traitorous tear from your cheek at the same time, a beautiful story performed by a very talented cast. It’s a movie that could be simply described as warm. I give it a score of 4/5.